We are proud to carry a full range of skin-care and beauty products to help you accomplish your beauty goals. VivierSkin is the only pharmaceutical grade skin care brand that combines the powerful benefits of Vitamin C serums (L-Ascorbic Acid USP) with pharmaceutical grade cleansers, toners, eye therapy products, moisturizers, advanced sun protection products, body care and complete skin care systems. The result: a flawless canvas, known as Vivierskin. Recommended by dermatologists, plastic surgeons and skin care specialists, these products are ideal for many skin types and conditions. VivierSkin Platiné is the latest innovation from VivierPharma, featuring the Peptide CR Eye Crème, Peptide CR Complex and Peptide CR Crème. This premium family of products is formulated with pharmaceutical grade advanced peptide technology (Vitamin C and Retinol). VivierSkin Platiné refreshes the appearance of the eyes, face, neck and décolleté – for a complexion that is youthful and radiant. 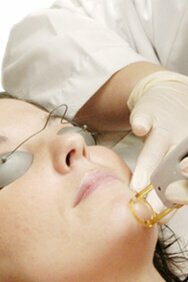 Straightforward, easy to use and effective medically supervised skin care is the hallmark of this system. The principle here is that technically advanced skin care doesn’t have to be an exclusive regimen of expensive and complex steps to attain healthy/youthful-looking skin. From multitasking natural mineral makeup to healthy skin care formulas, Jane Iredale creates clean beauty products that are as good for the skin as they are beautiful to wear. Using the highest-quality minerals available and organic ingredients when possible, Jane Iredale offers a full line of hypoallergenic, cruelty-free skin care makeup that is truly as nourishing for your spirit as it is for your skin. Get an eyelash enhancer that can make your eyes pop!